If you’ve found yourself staring at a blank document too many times, you know how tough it is to come up with new content ideas for a blog or website. The pressure to come up with the perfect content ideas on the spot, on demand, can be intimidating. It seems there’s a never-ending need for great content, so here are some ways to spark your never-ending inspiration. Brainstorming is a time-tested method for thinking up new content ideas. Just sit down and write down everything that pops into your head, no matter how off-the-wall it may be. You may be surprised to find a few sparkling gems among the dross. Keep a pen and paper handy to jot down the ideas you get at inopportune times, such as right before bed, in the shower, or on your daily commute. You could also dictate it into your smartphone as a note to yourself or reminder — don’t let it get away. Make it a routine. It’s hard to come up with great ideas on demand, but you can train your brain to do it on a schedule. Develop the habit of sitting down at your desk at the same time every day and writing down at least five ideas, and you’ll be surprised at how easy it becomes over time. It’s always a good idea to stay abreast of the world’s current events by watching or reading quality, unbiased news sources. However, there are other types of news you can’t afford to miss, as well. Subscribe to print or online newsletters that cover your industry, and read them to see what’s going on. Are there any new or innovative developments? Are there challenges that the industry is facing? These items, along with editorial opinions can give you great insight into new topics you can cover. Don’t restrict yourself to your own industry news. 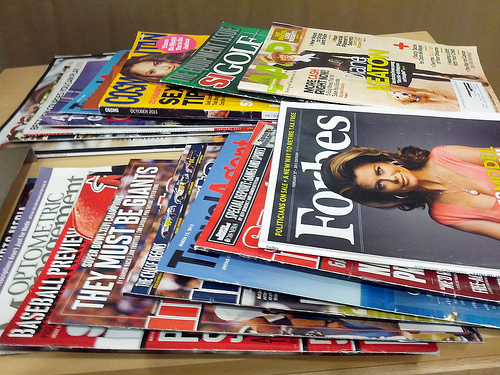 Check out business-related magazines such as Forbes, Inc., or Entrepreneur. Also, consider browsing through publications in other genres, such as sports, family interest, cooking, and more. You never know from where your next great idea may come. Evergreen content is valuable — it can be used all year, any time of year, and it’s always relevant. However, you should also consider adding seasonal content to your mix. Depending on the length of time until publication, you’ll want to plan your topics far enough in advance, so they’re ready to go at the right time. There are few things more off-putting than reading an article on summer vacations that was published in September. Go beyond the obvious seasonal ideas, such as holidays and weather. What else takes place during those seasons? Are there many trade shows in October? New models of a product rolled out in May? You can visit websites such as Checkiday.com for a listing of obscure, off-the-wall “holidays” such as National Hot Dog Day (July 18), World Gratitude Day (September 21), or Random Acts of Kindness Day (February 17). When you’re brewing up new content ideas, don’t restrict yourself to text-based content. Infographics, listicles, quizzes, and video content are valuable as well — and extremely successful. Infographics are eye-catching, easy to digest, and easy to share. Consider recording a short-form video that illustrates your content instead of typing it out. These alternative types of content can earn you more visitors, encourage interactivity, and generate sales. Also, being open to creating them could re-ignite your own enthusiasm. In content creation, it’s important to always look forward to the future. However, it’s also important to consider the past. 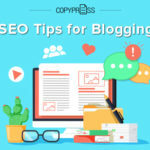 For one thing, you want to avoid duplicating an existing blog article. 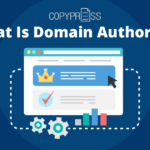 Checking out content that’s already been published, either by your own site or others in the industry, can also spark new ideas. You might read an article you can update with brand-new insight or information, or put a new twist on it. 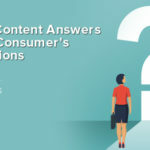 One surefire way to generate content that will interest your readers is to find out about what they’re already talking. You can do this by browsing relevant online message boards, such as Reddit, or social media platforms such as Facebook Groups, Twitter, and Instagram. 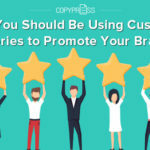 Although they can be huge time-wasters if you’re not careful, these venues cover any topic under the sun and draw visitors from around the world — many with strong opinions you can use to form content ideas. While you’re at it, why not bring the discussion to you instead? Create your own Facebook Group, web-based message board, or YouTube channel and encourage visitors to comment, offer suggestions, and ask questions. Finally, there’s nothing quite like talking to real people in the real world to generate ideas for your content. The opportunities are endless: Trade shows, networking groups, industry conventions, continuing-education seminars, and more. You can often learn more about the interests, goals, and challenges of people in your industry or target market by speaking to them in person than you can by typing online messages. Besides, it’s healthy to get away from the screen occasionally. 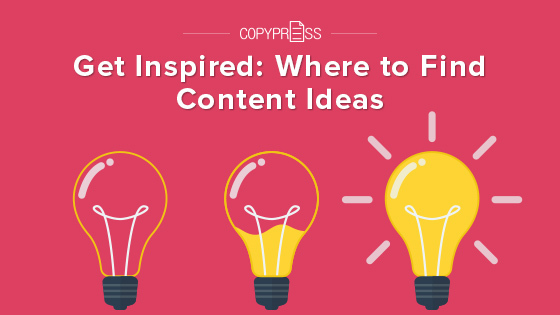 Your next great content idea is out there just waiting to be discovered. These suggestions should spark your creativity and fire up your motivation, as well as give you new ways to find out what your readers most want to see. What works for one person may not work for you; no two writers approach this challenge in the same way. 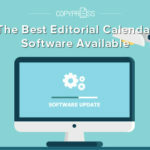 Whether you’re developing blog content, an editorial calendar, or pitching ideas to a publication, the most important thing to remember is this: If one strategy isn’t working, try something different. The Future of Voice Search Is Your Audience Hanging Out At These 11 Niche Social Media Platforms?